This site lists their profiles, events and news. It is also a space to share useful resources and to offer speakers for events. We will also list events organised by non-members; but members' events have priority listing. Contact us email and the administrator will add your event. Anyone is free to use the events listing - but we'd appreciate an acknowledgement! Individual members are welcome to join, but we do not involve ourselves in organising actions or events (apart from our annual meeting - held in the spring). If you are an individual who wishes to get involved in peace work, you may wish to find out first if there is a group in your area you could join. See the members section, and/or feel free to contact NfP for further details. If you are an organisation that is interested in joining the Network for Peace, please visit the join NfP page. 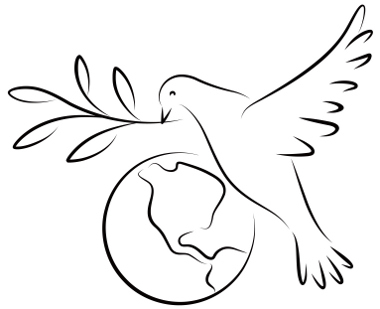 Anyone is welcome to sign up to our elist: networkingforpeace. There is a special elist set up for all peace groups organising events to coincide with the centenary of WW1. You can subscribe by going to: "https://lists.riseup.net/www/info/ww1peace and clicking the ‘subscribe’ button on the left hand side. Or email mail@networkforpeace.org.uk and ask to be added to the list. See the about section for more information about the Network.